I admire the strength it must take to leave your home, your family, and your country to search and hope for a better life in a far away and foreign land. But it’s that hope for a better life that the American dream has always represented. From the British who left England to come to America in the 1600’s to today’s immigrants America has always been the land of hope and dreams. Sometimes it worked out; sometimes it did not. My love for movies began after my parents and I, moved from Manhattan to Brooklyn. I was just a few days shy of my eleventh birthday and was, and still am, an only child. I was on the shy side in those days making it hard at times to make new friends. There were plenty of kids around my age in the apartment building we moved to; still, it was not an entirely smooth transition. Movies became my outlet. 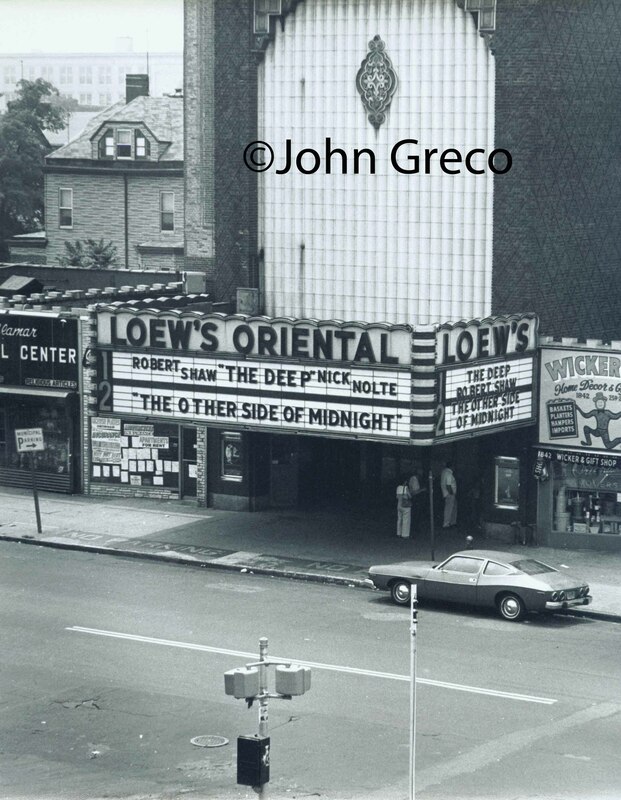 Nearby was the Loew’s Oriental, a large majestic theater within walking distance. My other movie outlet was TV. New York City television during those early years, long before home video, was a treasure trove, a repertory theater filled with old films…only with commercials. There was The Early Show, The Late Show, The Big Preview, The 4 O’clock Movie, The 4:30 Movie, The Late Movie, Five Star Movie, Chiller Theater, and the best of all, Million Dollar Movie.